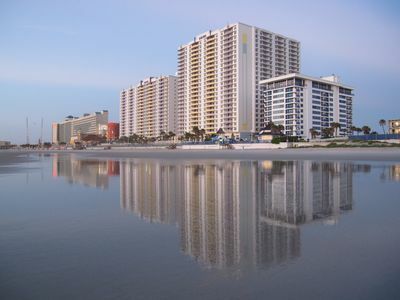 You ll have the time of your life at Wyndham Ocean Walk, nestled on the shores of one of the only pedestrian beaches in Daytona Beach, Florida. 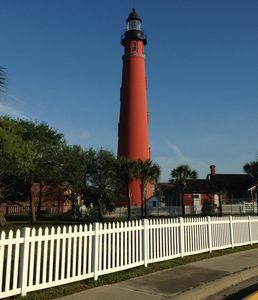 A plethora of shops, restaurants, museums and annual events are just minutes away. 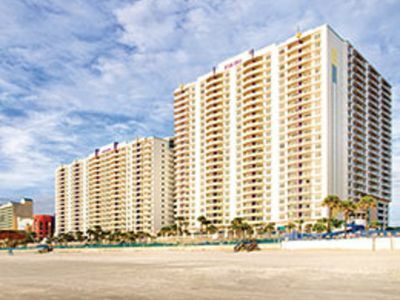 The Ocean Walk Village, Convention Center, Daytona Beach Bandshell, Boardwalk and Main Street Pier are conveniently located right next door. 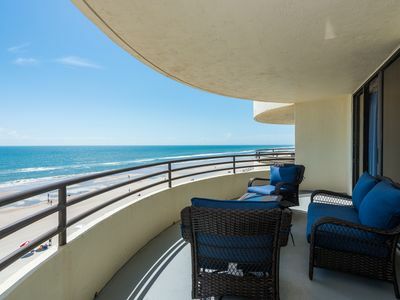 Wyndham Ocean Walk resort features spacious studio, one-, two-, three-bedroom and penthouse resort suites that comfortably sleep four to ten guests and range from 500 - 1,455 square feet. Suites feature one king or two doubles in the master, one king or two doubles in the guest rooms and a queen sleeper sofa in the living area. 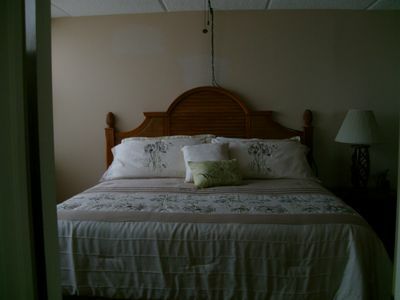 Most suites offer the privacy of separate bedrooms, the convenience of a washer/dryer and separate living/dining areas. 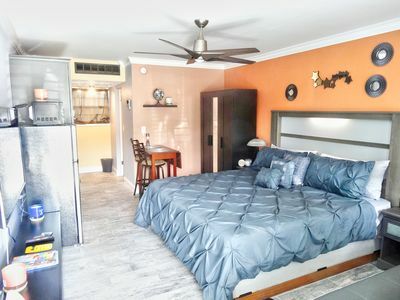 You are sure to appreciate the economy of a partial or full kitchen and TVs throughout, while many suites feature a balcony and whirlpool tub. 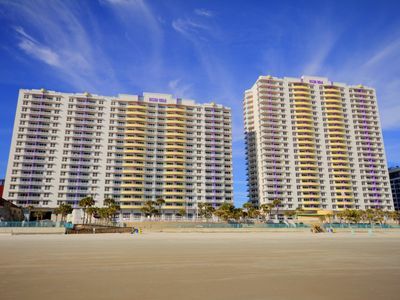 Gear up for high-speeding NASCAR racing at the Daytona International Speedway, only five miles away. 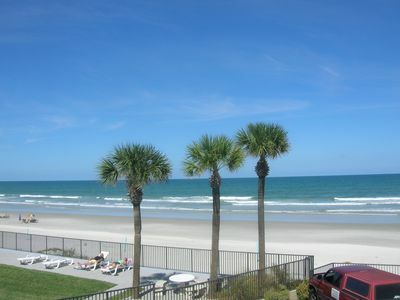 Don t miss the Daytona 500 Experience featuring all things NASCAR. 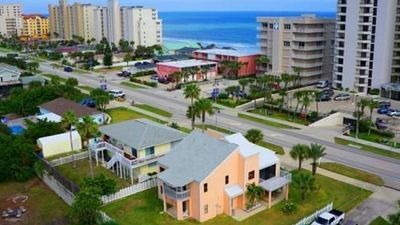 Visiting families and prospective university students can make a vacation out of their campus visits to Embry Riddle University, Bethune Cookman College and the University of Florida Daytona Beach. 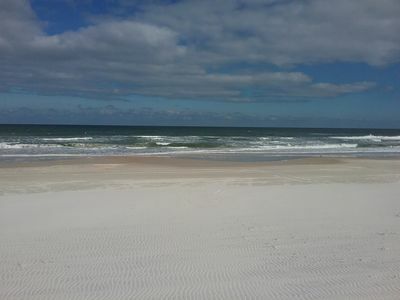 You ll discover it all at Wyndham Ocean Walk. 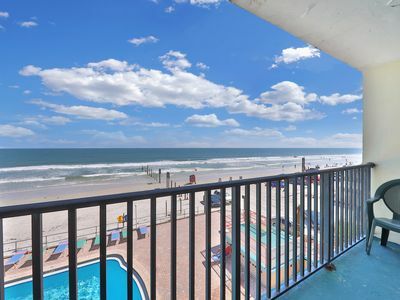 This beachfront vacation resort offers exceptional amenities and leisure comforts that create an unforgettable family vacation or romantic retreat in the heart of Daytona Beach. A dip in one of the two indoor or two outdoor heated pool, a relaxed journey down the lazy river or an exhilarating gush down the water slide is the perfect way to either de-stress or let out a little extra energy. The fitness center features work-out machines, free weights and even a variety of health classes to stay fit. 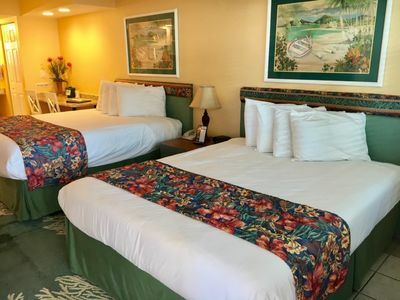 Kids and adults of all ages can challenge their friends to a match in the game room or one of the miniature golf courses, and enjoy fun resort activities programs. A social occasion, wedding or event held in the 250 person Grand Ballroom is sure to be the highlight of the season. 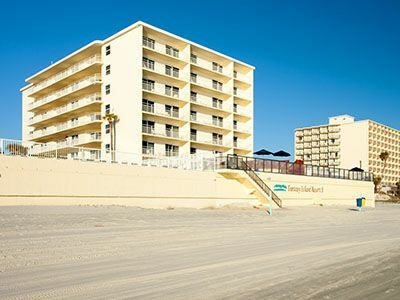 This resort offers handicap parking and first floor access ramps. 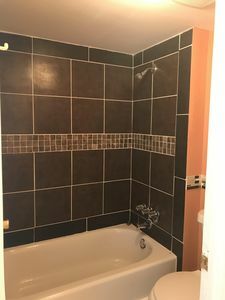 Some units include wider than typical unit interior doorways, lever handles on all doors, counter-height microwave, front control stove or range, roll-under kitchen sink, roll-in shower, handheld shower head, grab bars in shower, grab bars in tub, grab bars around toilet, raised toilet (higher than typical units), front door wide-angle wheelchair height peephole, first floor handicap accessible access and Braille signage for room numbers. Some units include visual doorbells, visual fire alarm, visual phone alert and closed captioned TV. The resort will be undergoing a project to paint and replace carpet in the North Tower common area hallways Dec. 29, 2018 - Feb. 10, 2019. 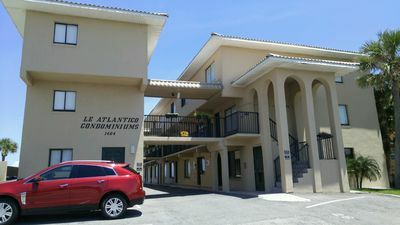 Free parking (only one space available for each suite rental). Additional parking is available for a fee in the garage across the street. Boat and trailer parking are not available in the on-site parking garage. For groups of 6 rooms or more, please submit an RFP to plan your event. 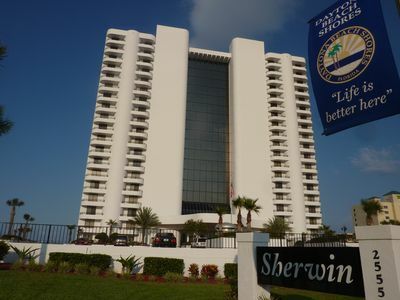 There is a mandatory resort fee for reservations at the resort in the amount of $25.00 per reservation. The resort fee, which is imposed by property owners associations at the resort, will be collected at the time of check-in. 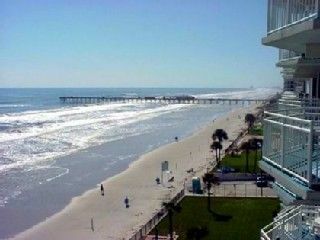 Direct Ocean Front - Daytona Beach Shores. Best Unit Avail At This Price! Book summer vacation weeks NOW!! Steps To The Beach! 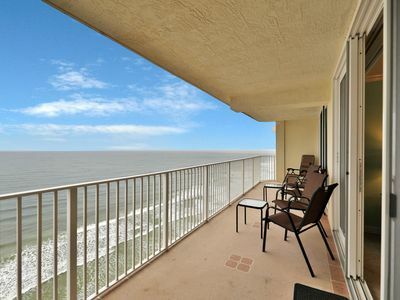 Pool Overlooks The Ocean! Perfect vacation home - Quiet and relaxing. 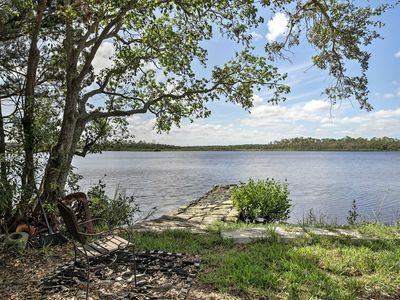 Waterfront Port Orange House w/Porch on Rose Bay! 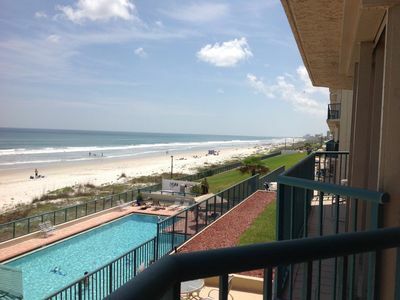 2 Bedroom Two Story Townhouse Right On The Beach. 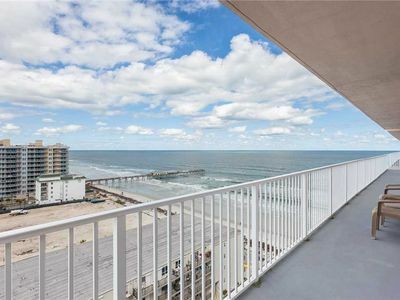 Oceanfront condo w/ balcony, great views, shared pool/hot tub & beach access!